As Mr. Obaze Oseloka is expected to be given Peoples Democratic Party, PDP, flag today, Dr. Alex Obiogbolu, the Oganiru Anambra Founder, who came second during the party primaries, has declared that he was the duly-elected flag bearer of PDP in Anambra Stateâ€™s November 18 governorship polls. Obiogbolu, in a statement yesterday, said there is no way Obaze should be given the PDP ticket, describing it as an injustice to democracy and a negation of the creed of the new rebranded PDP. He noted that it was a violation and abuse of PDPâ€™s constitution and electoral guidelines for the governorship elections as Obaze had not met the PDP prerequisites to emerge its standard bearer. He stated that since the person declared winner is not qualified to run and the Independent National Electoral Commission, INEC, accepted, he has to seek justice as whoever has the lawful highest number of votes cast should be declared winner. 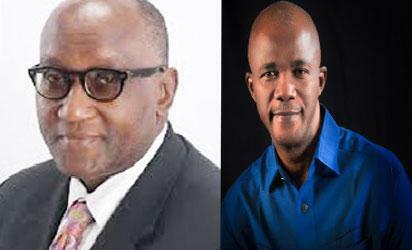 The post I’m Anambra PDP’s candidate, says Obiogbolu appeared first on Vanguard News.